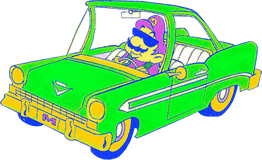 Supernova, the guy responsible for the likes of Mario Vs. The Furbies and Super Mario: Red Scare, has submitted the first-ever (to my knowledge anyway) Android mobile game to NCFC! Take a little peek at Cops, a game that has at least a few thematic similarities to his earlier works. This game was recorded using Bluestacks to emulate the Android environment, so if you're using a Windows Desktop and want to play this game, you may have to obtain Bluestacks. Note that while Bluestacks is free, it will frequently install new Android apps onto your computer, so be wary of this when grabbing this game. RE: New this year - games for Android phones! Thanks! I really liked it! One more thing, it's also perhaps the first Windows Phone 8/8.1 game in NCFC as well.